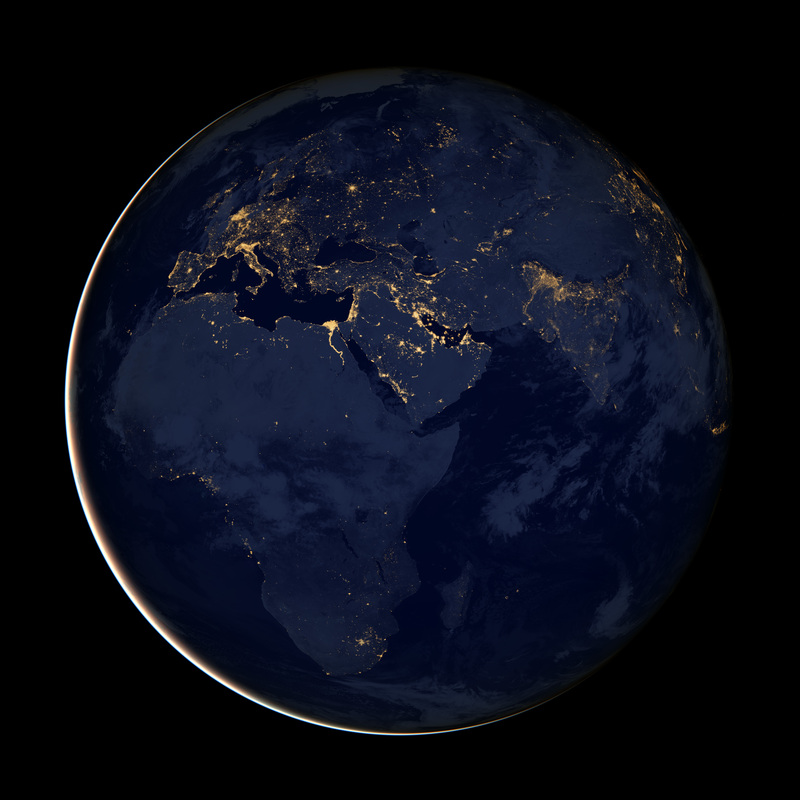 The nighttime view was made possible by the new satellite’s “day-night band” of the Visible Infrared Imaging Radiometer Suite. VIIRS detects light in a range of wavelengths from green to near-infrared and uses filtering techniques to observe dim signals such as gas flares, auroras, wildfires, city lights, and reflected moonlight. In this case, auroras, fires, and other stray light have been removed to emphasize the city lights.